The topic of the September meeting is “Mormodes: 182 years of chaos” and the speaker is Gilberto Arrieche. Gilberto is a long time orchid grower and “self-confessed fan of Cattleyas and Catasetinae (especially Mormodes)”. Motivated by his love of these plants and the “over 180 years of confusion in species identification, Gilberto has done a very extensive research project on the genus Mormodes. In so doing, he has developed a multi-part presentation of the many species (more than 80 at last count) – even noting that a considerable number of flowers and plants have been incorrectly identified. 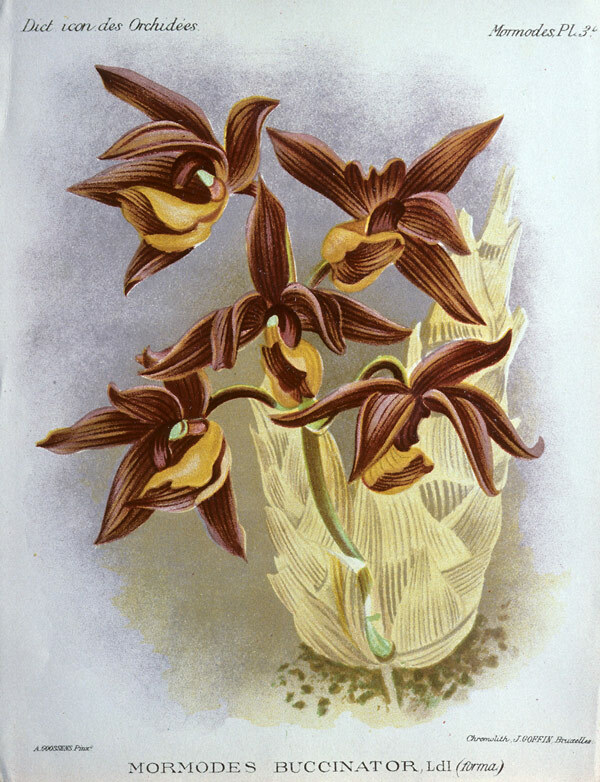 Gilberto has posted numerous pictures of Mormodes species online, several of these on the site www.orchidspecies.com . Among his many achievements, Gilberto has garnered a number of AOS awards for flower quality in his favourite plants. The meeting will take place in Room 5, Royal Botanical Gardens, 680 Plains Road W., Burlington, ON. As usual, the formal meeting will start at 2 pm but you are invited to arrive any time after 1 pm to socialize and interact with vendors. Members and guests welcome.